If you like a character-filled house The Breakers is sure to please. This older style solid brick holiday house with traditional beach house furniture is set right along North Avoca's patrolled beachfront, boasting picture-perfect views of North Avoca beach across to Avoca headlands. Discover rooms at every twist and turn! Ideal for family groups, The Breakers is a two-storey house with floor-to-ceiling windows in its main living space and lower level rumpus. Contains oil heaters for cold wintery nights, and a lovely cool sea breeze that rolls in during summer. Sit back on the deck and enjoy the view, take a dip in the ocean, or have a BBQ while the kids play in its fully fenced front yard. The Breakers is just a minutes' drive to Terrigal shops, cafe's and restaurants. Master bedroom contains a king bed and balcony. Bedroom 2 contains a queen bed, bedroom 3 contains a bunk bed; bedroom 4 contains a queen bed and en suite with shower, while bedroom 5 contains two single beds and ceiling fan. All bedrooms contain built-ins. MAXIMUM OCCUPANCY :: Due to local council policy, Accom Holidays will only accept bookings in this property for 8 Adults maximum. Any additional bedding is for children under 15 years. Perfect for a couple with a dog. Dog walks, dog beach, dog friendly house, dog friendly cafes nearby. We loved it. Thank you!! Will be back. Thank you Jane! We hope you will be back! It was lovely hosting you. The property is in need of repairs and re-vamp, but it's a location that you could only dream about and we'd certainly come back. We had such a wonderful few days there, and wish we could stay longer. Hi Vanessa, thank you for your feedback and for your review! We hope to see you back in North Avoca in the future! We had an amazing weekend away at The Breakers. Stunning location right on North Avoca beach, the house was very well equiped, beautifully comfortable without being pretentious and great ambience. Surrounding areas great to explore. Very short drive from Sydney. We will definitely come back. Much appreciated Tiffany. It's great to see your weekend was enjoyable and relaxed. Location, location, location And excellent house! 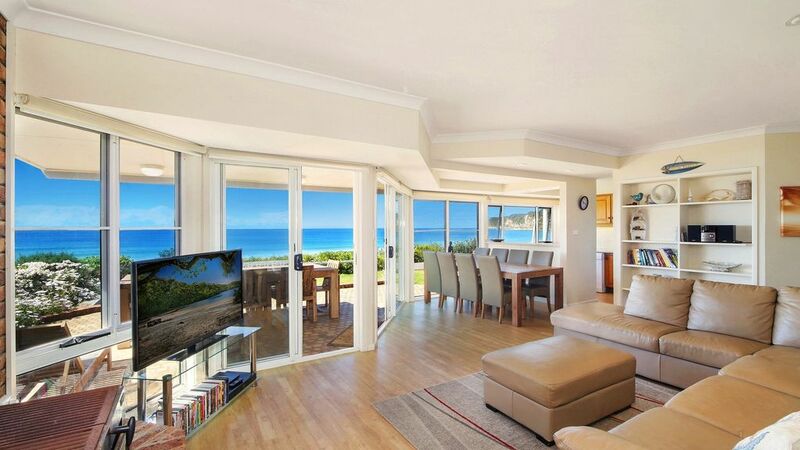 The Breakers is a very well equipped house right on North Avoca beach. Couldn't have asked for a better location, shopping nearby in Terrigal, plenty of space, beautiful beach and gorgeous view. Will definitely be booking it again. Thank you! We are very happy you had a lovely stay. Thanks for your review Liz, we're glad you had a great stay. We have put forward your feedback to the owner. Hope to see you again!